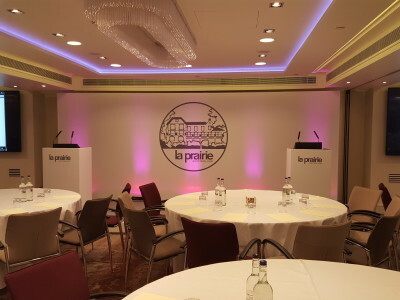 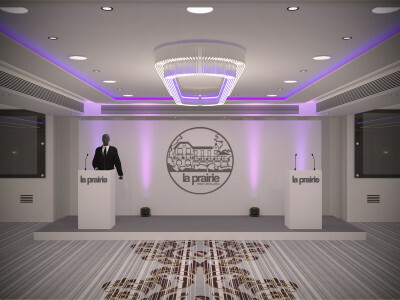 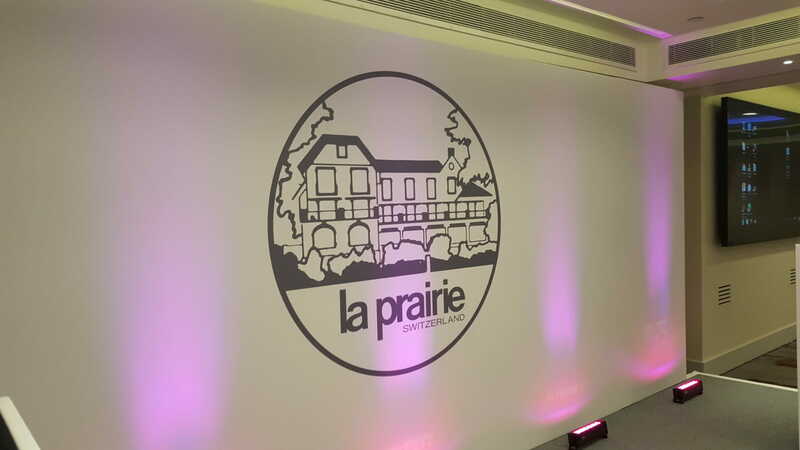 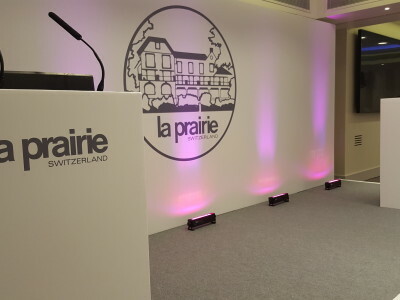 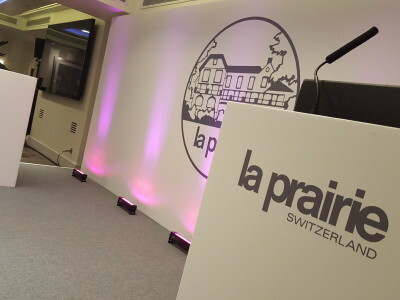 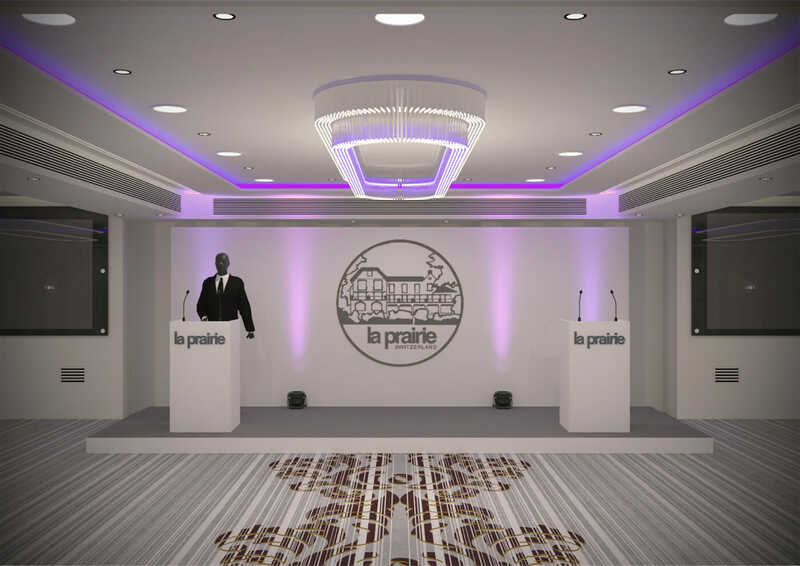 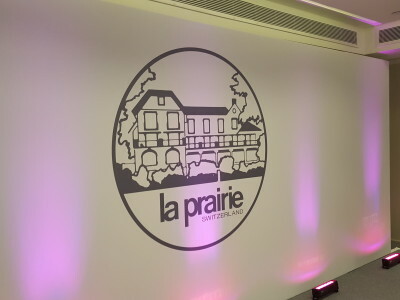 La Prairie, a luxury cosmetics brand hosted this conference at the Sofitel St James. 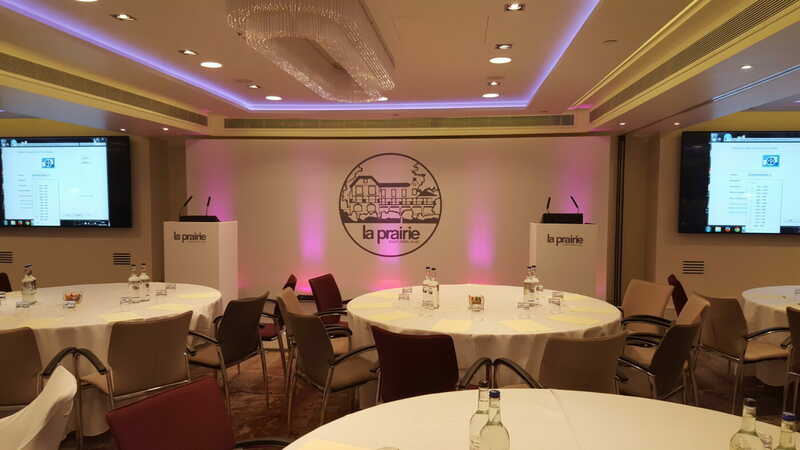 The purpose of the conference was to give La Prairie an opportunity to showcase their new product range to venders and suppliers. 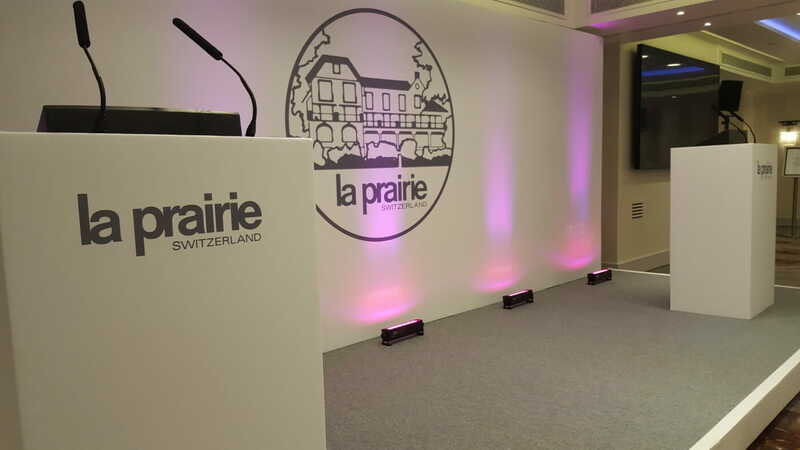 For this event we designed and constructed a branded canvas wrap set complete with lighting and sound throughout the space. 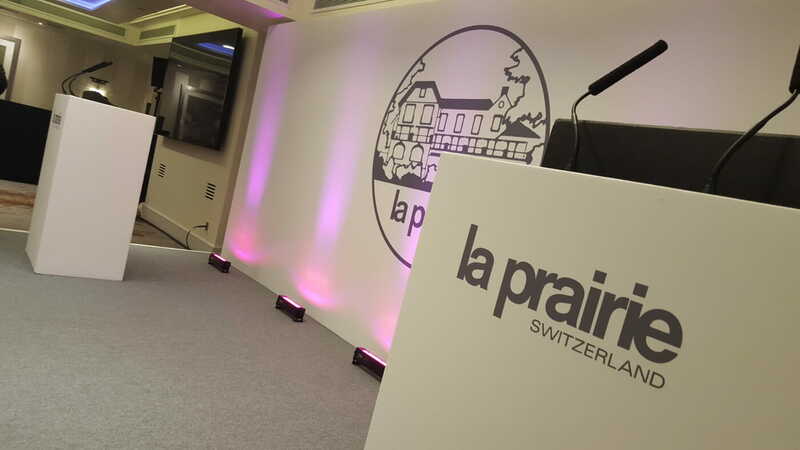 In order to maximise the impact of the event we incorporated a pair of 4K 98″ screens that Eclipse Services installed as part of a technology upgrade at the venue.